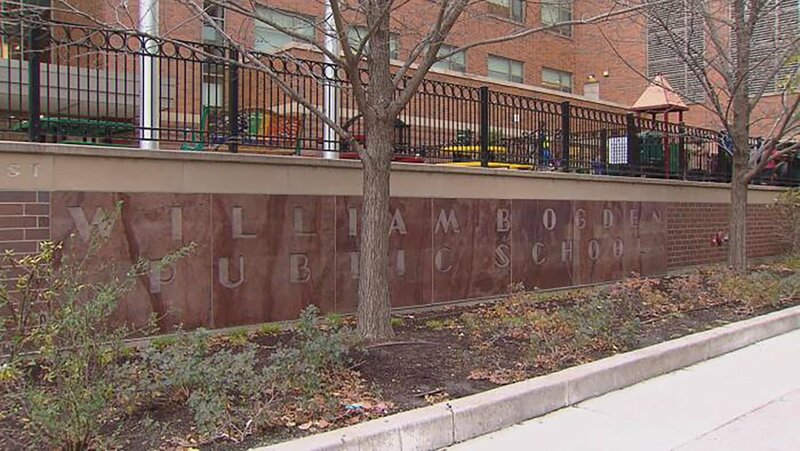 A longtime Chicago Public Schools principal who recently oversaw a difficult and controversial merger between two elementary schools has been removed after the school district’s internal watchdog discovered falsified attendance records at his school. The district on Thursday afternoon announced Ogden Elementary School Principal Michael Beyer has been “reassigned from his principal duties” effective immediately. CPS distributed a letter to Ogden parents Thursday informing them of the decision and inviting them to attend a pair of meetings to discuss change and transition plans Monday at Ogden’s East campus. “We are confident that Ogden will continue to be a strong school community with your support,” Network 15 district chief Randel Josserand said in the letter. The letter itself is light on details, but states a CPS Office of Inspector General report turned in to the Board of Education over the summer found Ogden administrators had falsified attendance records through the improper use of out-of-district and homeschool transfer codes. In a redacted copy of that report, CPS Inspector General Nicholas Schuler says students with extended absences would be unenrolled and coded as having transferred out of the district or begun homeschooling in order to avoid marking them as absent. Beyer’s administration, Schuler found, did this extensively over the last three school years – at least 75 times. The OIG also found “suspect” transfers within those instances that lined up with Ogden’s winter or summer vacations. In an interview with Schuler’s office, Beyer admitted that he knew this was impermissible, but claimed his administration was not encouraging these practices. When the OIG presented him with emails that showed Beyer had, in fact, pushed these actions, he reportedly admitted “Clearly, I did break the policy” and said he “messed up,” according to the report. Based on these findings, Schuler’s officer recommended Beyer for termination. The district says Beyer has not yet been fired and currently remains on paid leave. The benefit of this scheme, Schuler believes, was to falsely inflate Ogden's attendance rate by making it appear as though students had left the school entirely instead of not attending certain days. A higher attendance rate would positively affect Ogden's School Quality Rating Policy (SQRP) score. In one instance during the 2015-16 school year, a family informed Beyer they would be taking a trip around Christmas that would result in 10 days of unexcused absences for their child. Beyer instead suggested the parents consider unenrolling their student so as not to affect Ogden’s school rating through an extended absence. According to the report, that student was “transferred” out of Ogden during similar periods over the following two school years. The OIG’s investigation also discovered that the school the student allegedly “transferred” to was not a school at all, but actually a county club. Several similar instances of absent students "unenrolling" for short periods are documented in the OIG report. Most of these changes also lacked proper documentation from the school. Michael Beyer, speaking during a June 19 interview with Chicago Tonight. Beyer had been Ogden’s principal for more than three years and oversaw the recent merger with Jenner Elementary, which went into effect this school year. He previously worked in the CPS central office and spent four years as principal at Morrill Math & Science Specialty School on the Southwest Side, according to his district bio. CPS has appointed Rebecca Bancroft, assistant principal at Back of the Yards High School, as his immediate replacement to serve as acting principal. The merger between the two schools – Ogden on the Gold Coast and Jenner near Cabrini Green – had been in the works for years and finally went into effect this fall. The district recommended the move last year, which placed kindergarten through fourth grade students at the Ogden East campus, and pre-K as well as fifth through eighth graders at the Jenner building. The plan aimed to resolve overcrowding at Ogden East and under-enrollment at Jenner. Ninth through 12th grade high school students who were already at Ogden’s west campus have remained there. Though the merger wasn’t as controversial as district plans to convert the National Teachers Academy into a high school or close four Englewood-area high schools, the Ogden-Jenner proposal was not without its detractors, some of whom feared it could hamper the schools’ stability.